Heeft u een vraag voor Gung Hanok Guesthouse? Of u nu een toerist bent of een zakelijke reiziger, Gung Hanok Guesthouse is een uitstekende accommodatie tijdens een bezoek aan Seoel. Vanaf hier kunnen gasten genieten van eenvoudige toegang tot alles wat de levendige stad te bieden heeft. Dankzij de praktische locatie liggen alle belangrijke trekpleisters in de buurt van het hotel. Het Gung Hanok Guesthouse biedt tevens vele faciliteiten om uw verblijf in Seoel zo aangenaam mogelijk te maken. Het hotel biedt 24-uur roomservice, gratis wi-fi in alle kamers, 24-uur beveiliging, privé incheck/uitcheck, taxi service om gasten een maximaal comfort te garanderen. Gasten kunnen kiezen uit 9 kamers, stuk voor stuk plezierig en comfortabel ingericht. De recreatieve faciliteiten van het hotel, inclusief tuin, zijn ontworpen voor maximale ontspanning en onthaasting. 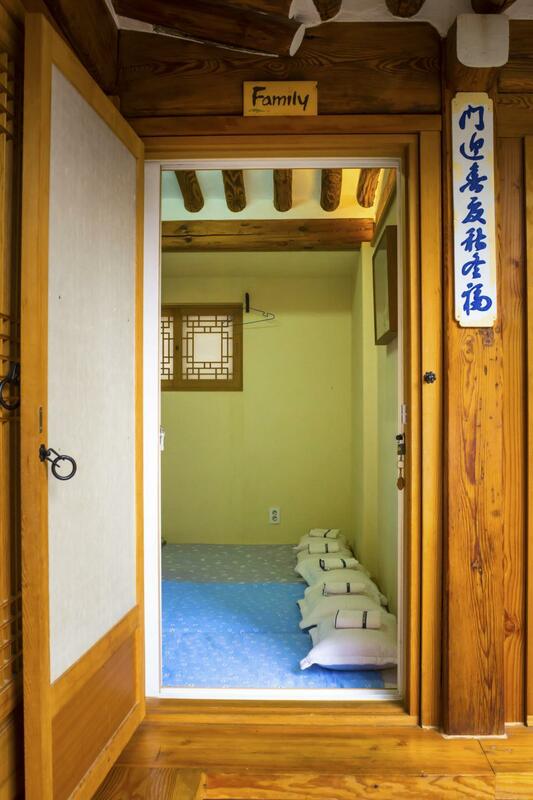 Geniet van ongeëvenaarde dienstverlening en de prestigieuze uitstraling van het Gung Hanok Guesthouse. Hanok, kind owner and local Korean atmosphere !! The best owners we ever had they were very hospitable and assisted us with planning where and how to go to the place we wanted to visit. The owners also make great tradisional Korea breakfast which were super nice. The owner also helped us to order Korea famous fried chicken for our supper when we request to. We are extremely grateful for all that he had done for us. Gung Hanok Guesthouse is located a few minutes walk from exit 5 at Jongno 3-ga Station which we can direct transit at the main station (Seoul Station) from the airport. The location is in a quiet location between Hanok Village, Jongmyo Shrine and Changdoekgung Palace, walking distance from these sights. We even walk to Insadong and only spend 10 to 15 mins from Gung Hanok Guesthouse. There was a small supermarket near the Guesthouse too. 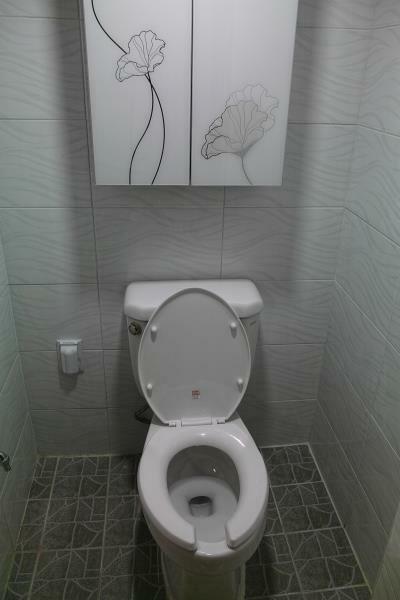 The room were clean, tidy and provided private bathroom. Gung Hanok Guesthouse is really nice place to stay. We would definitely stay here again. Brilliant stay. Staff were helpful and friendly, making us a beautiful Korean breakfast when we woke in the morning. About 5 minute walk from the train station and close to food and attractions (nice walk to palace etc). Would definitely stay here again. I find it a little difficult to give an objective review as I lost my way while trying to find my way there with the minus degree temperature. I wasn't familiar with the metro system in seoul. I forgot to turn on my roaming, so the owner could not contact me though he tried. When I eventually found the place, I found the owner waiting for us outside. Knowing how cold it was, I was grateful for his waiting. As it was really late when I arrived, the owner did not intro the place to me. The guesthouse was really small anyway. The room was small but sufficient for 3 of us. I find the floor heating not hot enough. The hot water was not reliable too. The water became cold suddenly a few times. So, it was really a cold place for me. The wife's breakfast was nice and the owner was helpful too. The location is in a quiet location between Jongmyo shrine and Changdoekgung, walking distance from these two major sights. The metro is 5 min walk and surrounded by bear tents in the evening giving a great place to eat. The owners will go out of there way to make you stay pleasant and they make great Korean breakfasts. 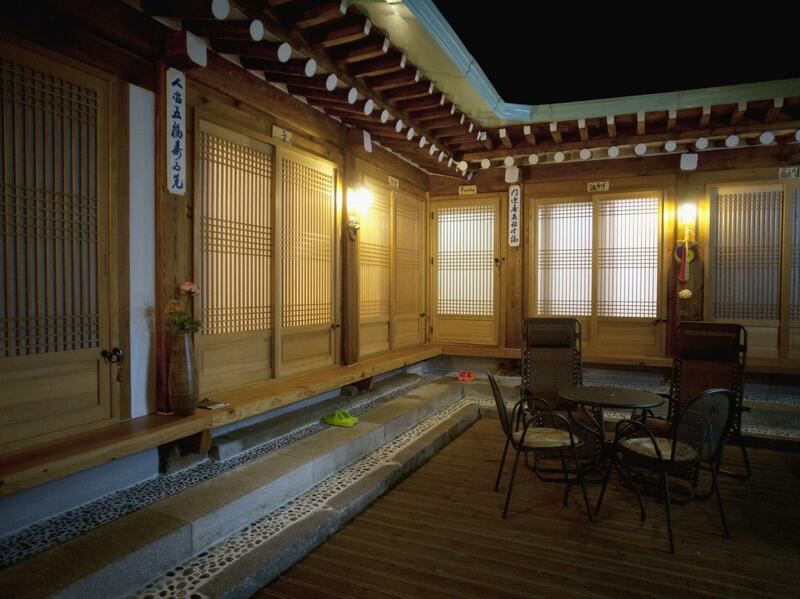 The hanok is traditionally built and has a great atmosphere. Great Korean breakfast, 3 minute walk from underground station and friendly local atmosphere. The owners were very hospitable and assisted me with planning where to go while I was in Seoul. 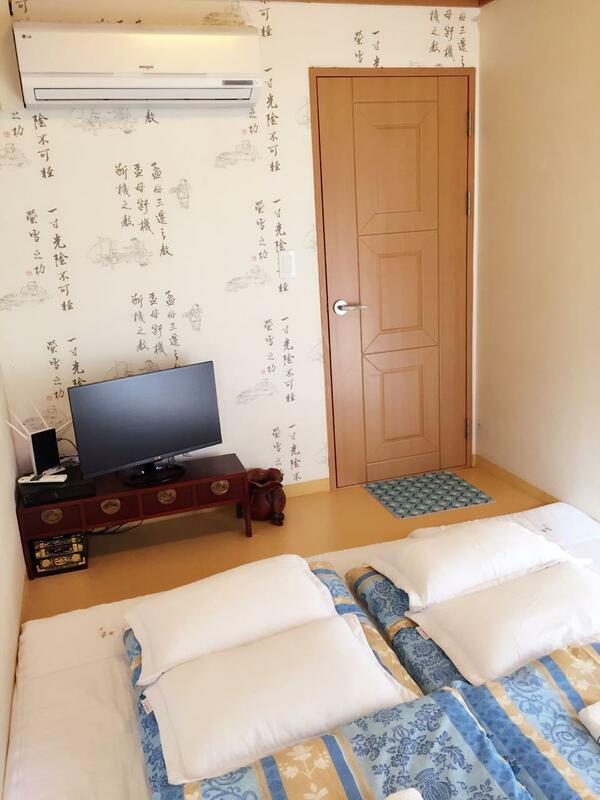 Gung Guesthouse is located a few minutes walk from exit 7 at Jongno 3-ga Station (easy connection to Seoul Station for airport train). Nice Korean breakfast and Western style also available. 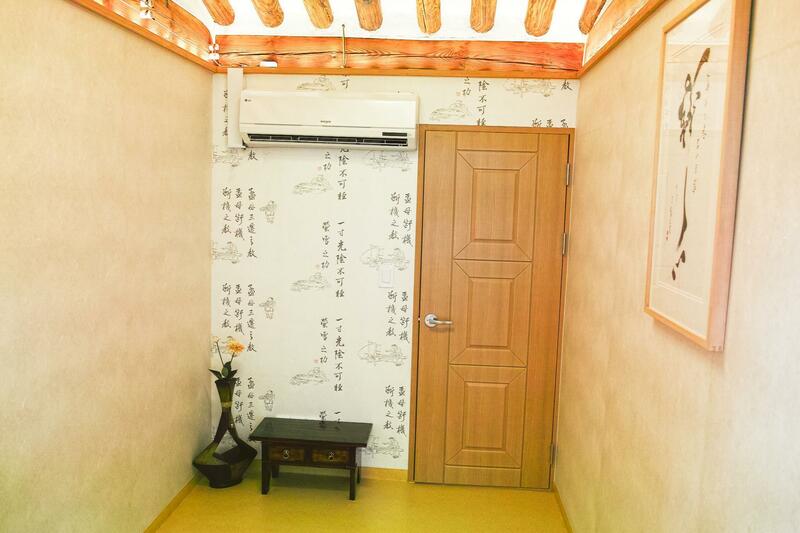 The rooms are fairly small, but at the same time the offer a very local Korean atmosphere. The guesthouse is newly renovated, with private toilet and shower en suite. 2 nuits dans cet "Hanok", parfaitement situé dans Séoul (10 minutes à pied d'Insadong St, et des palais). Situé dans le quartier des joailliers, à 500 m de la sortie 7 de la station Jongno 3. à proximité aussi de restaurants et de supermarchés. Au calme. Propreté des lieux ++. Petit déjeuner coréen délicieux. Extrême gentillesse du propriétaire, qui parle un bon anglais. Bref, à recommander. Lieux atypique pour les occidentaux que nous sommes, notre hôte a été aux petits-soins pour que notre séjour soit parfait. Pari réussi, nous avons apprécié ! C'était formidable de séjourner dans cette maison centenaire, le quartier est top, traditionnel et animé à quelques pas. Nous vous le recommandons chaudement.